Welcome to Hibernia! 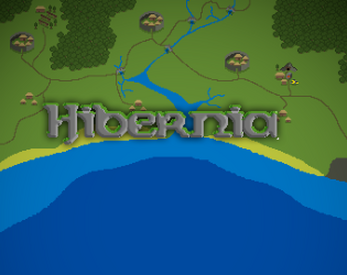 Hibernia is a game set in ancient Ireland, take control of one of 5 kingdoms and use crafting, settlement and trade to make your chosen kingdom the most famous in Hibernia! The game was make for #JamCraft 2018. Connect resources to your settlements by left-clicking the the resource and right-clicking on the settlement. Trade resources to other settlements by left-clicking a settlement and then right-clicking another settlement. Trading resources costs some of the resources, but gains you Fame. So a long trade route will provide little resources, but a lot of Fame. And a short trade route will provide more resources than Fame. Select a settlement to open it's crafting panel, where you can use resource to create units and other resources. Settlers can capture unclaimed settlements. Warriors can remove a faction from a claimed settlement. Traders can go to another faction's settlement to trade in return for Fame. Trader's factions gets 200, target settlement's faction gets 100. Try and earn the most Fame withing 100 years. WASD to move the camera. Left and Right mouse buttons to interact.